Party Oasis is a one stop party accessory shopping experience. We offer high quality, themed party accessories at reasonable prices to fit any budget. Venetian masks are what we are known for. From masquerade parties & Mardi Gras festivities to themed prom nights & New Year's Eve we can supply all your party fantasy needs. Please keep in mind that all of the Venetian masquerade masks are hand painted by artists and character flaws are the nature of the art. Not all masks come exactly as pictured as they are all done individually and have their own uniqueness to them. RETURNS ARE NOT ACCEPTED AT THIS ADDRESS! Free ground shipping on orders $100+ to addresses within the 48 contiguous United States. Excludes Hawaii, US Virgin Islands, Puerto Rico, Guam, Canada. NOTE: Some larger items, such as oversize props and mirror balls will have an shipping charge associated with them. Customer will be emailed the freight charge before we ship. Bulk & pallet orders are excluded from free shipping offer. We will contact you if this is the case with your order. All orders with ground shipping will ship within 24 hours. All orders with Next day, Second day, and Three day will ship the same day if the order is placed by 1:00 PST Monday - Friday. Please keep this in mind when choosing ship method, items shipped Next Day, 2nd or 3rd Day Air must be in by 1:00 pm PST for same day shipping. All orders are shipped from the United States. Party Oasis Ships To All Countries. International orders will ship ground USPS or UPS same day with a estimated delivery time of 3-10 business days pending normal customs clearance. Customers needing faster delivery service or help with shipping options can contact us at sales@partyoasis.com for upgraded delivery service. If requesting Next Day Air on a Friday after 1:00 pm PST, your order will not ship until Monday as UPS does not deliver on Saturdays unless you choose Next Day Saturday AM. Party Oasis will be closed 2/18/19 Presidents Day. July 3-4 and resume shipping on July 5 2018. November 24 Thanksgiving Day, December 25-26 for Christmas, and January 1 New Year's Day. We ship USPS for US ISLANDS, INTERNATIONAL ORDERS, & APO addresses. Please select USPS Priority or Priority International for the best shipping rates. Party Oasis is offering free shipping on orders totaling $100 or more. 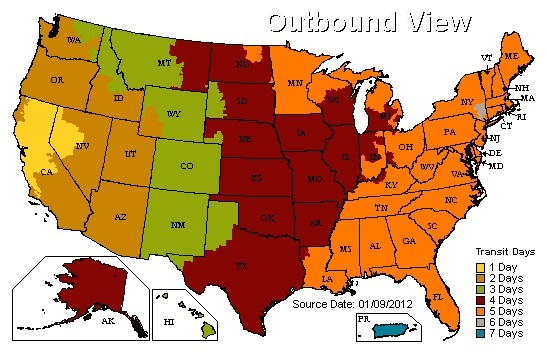 This includes items sent via UPS Ground Shipping to addresses within the 48 contiguous United States. All orders over $100 receive free shipping. Please select at checkout USPS Orders Over $100 Free Shipping to activate the free shipping offer. *Returns without an RA will be rejected. *All returns must be done within 24 hrs of receiving. *All returns are subject to a 25% restocking fee. *All rejected shipments without prior authorization will be charged a 25% restocking fee plus return shipping costs. *Return shipping must be paid by customer.